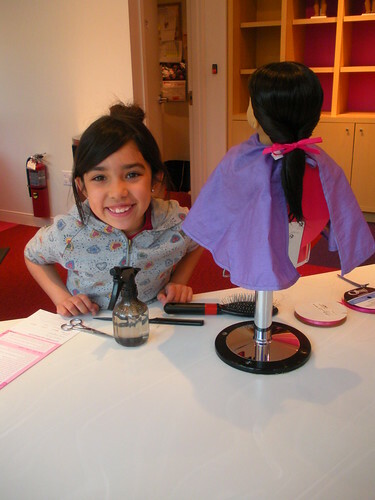 American Girl Doll Play: Ruby's First Trip to the American Girl Store in Minneapolis! 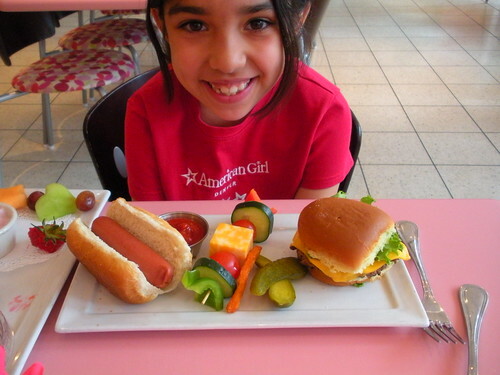 Ruby's First Trip to the American Girl Store in Minneapolis! Thought I should finally get these posted before another season goes by! 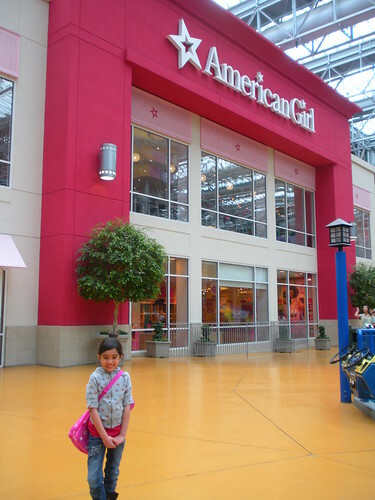 We were so excited to take Ruby to the American Girl store at the Mall of America location this past summer. 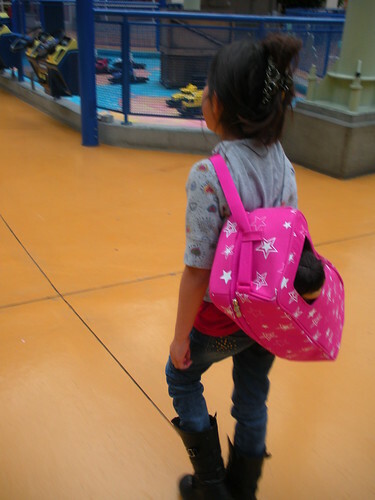 You can't really tell by looking here at this photo, but Ruby was really excited to go. 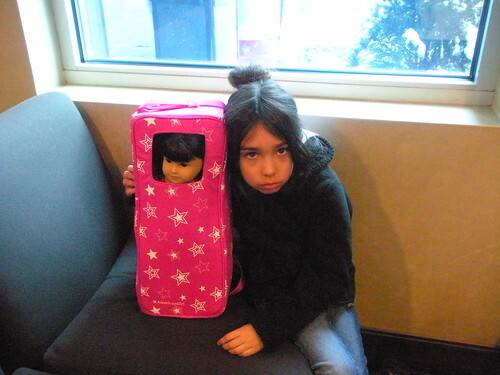 In this photo she was waiting for her family (including one little brother who shall remain nameless) to get ready to leave the hotel room! 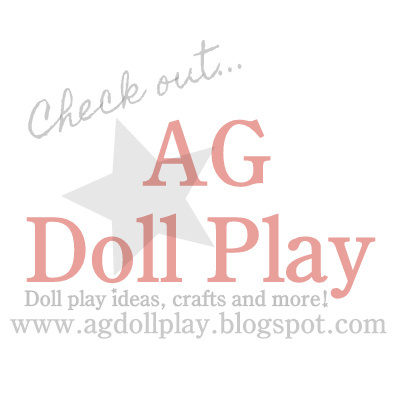 Ruby brought her doll Crystal to the store and here they are making the hike through the mall to get to the American Girl store. We are here!!! So exciting! Look at all those books! Since we hadn't been here before we didn't really know where to start and it was so overwhelming at first. 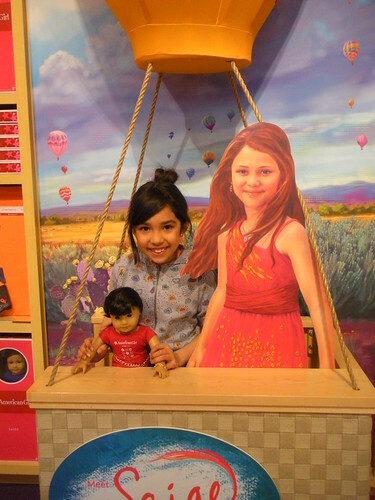 We were sure to strike a pose with Saige in her hot air balloon of course! Crystal felt as though she was really flying, can you tell? It is so fun to be able to get to see all of the catalog items up close and in real life. What a rush! 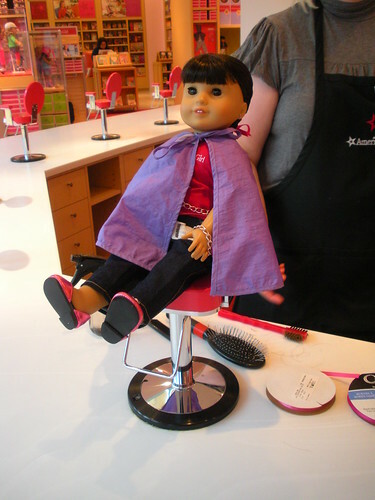 Crystal spent some time at the doll salon while we were there...because a doll only lives once (???) right? 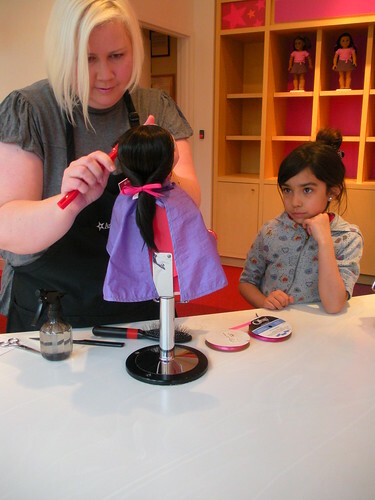 Crystal got a pretty ponytail with a twist, complete with a pink ribbon. I think Ruby and Crystal were both pleased with the outcome! 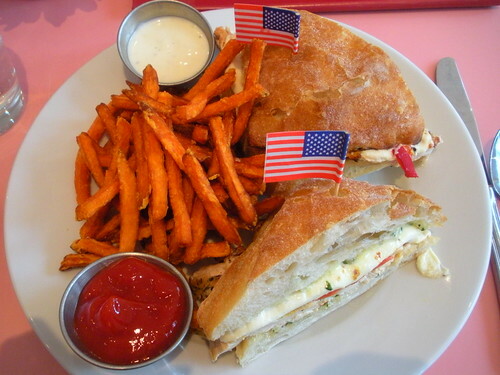 After checking out the store we went upstairs to enjoy a lunch. Here we are! It was so pretty and wasn't packed which was really nice. We didn't have a reservation and were able to get right in. Crystal is waving hello to all of her friends back in Wisconsin! 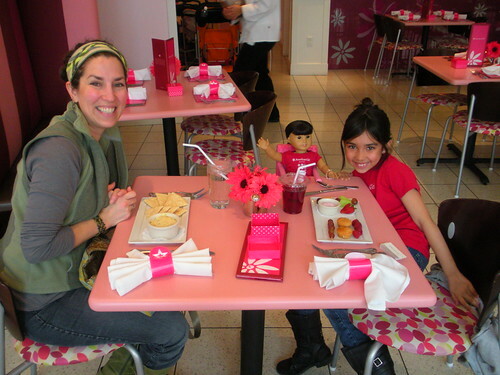 We had such a fun time and it was so special to get to eat at the cafe together. Definitely glad to have made the trip! Ah, waiting on the little brother can be trying. Glad to see that frown turned upside down! Thank you for sharing your trip. 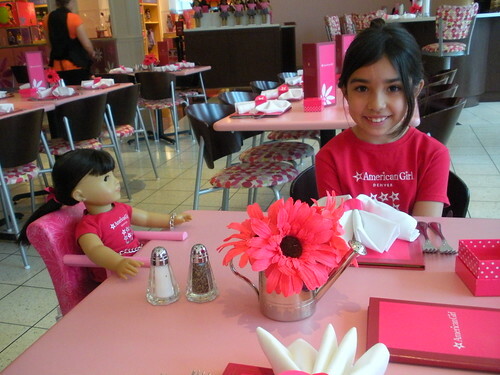 I so hope to get to an American Girl store someday.